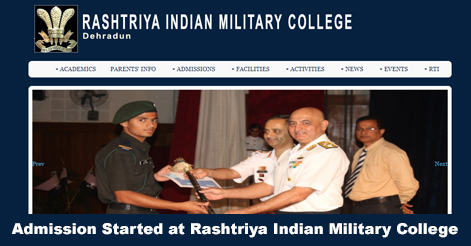 Rashtriya Indian Military College has started the process of admission for the Class VIII for July 2019 Batch. The Candidate must be studying in Class VII or passed class VII from a recognized school at the time of joining. Only boys can apply for this process. Candidates can apply from 19th June 2018 to 30th Sep 2018. According to the details, the entrance exam will be commencing on 1st and 2nd December 2018. Class VIII The Candidate must be studying in Class VII or passed class VII from a recognized school at the time of joining. Not less than 11 1/2 years and not more than 13 years. Approx 25 Cadets are admitted every six-month. Generally one vacancy per state is allotted. However some States which have large population, have up to 2 vacancies. The selection process may comprise of Written Examination, Viva-voice and Medical Fitness Test. (A) Written Examination: The written part of the examination consists of three subjects i.e English (125 Marks), Mathematics (200 Marks), and General Knowledge (75 marks). Maths and General knowledge Papers may be answered either in Hindi or in English. 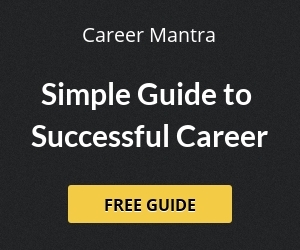 To qualify, a candidate must obtain a minimum of 50 % Marks in each subject. (B) Viva Voice: The oral examination consists of a Viva Voce test of 50 marks, which is designed to assess a candidate’s intelligence, personality and confidence. The Minimum passing marks will be 50%. (C) Medical Examination: All the candidates qualified after interview will undergo a medical examination at selected Military Hospital and only those Candidates found medically fit will be considered for selection and admission to the RIMC. Medical Examination of the Candidate forms only a part of the System of selection and does not imply the Final Selection. The address should be types / written clearly in capital letters with pin code and contact number. RIMC will not be responsible for nay postal delay and loss in transit of prospectus caused by illegible or incomplete address. Help us to improve this article/job posting "Admission Process Starts at Rashtriya Indian Military College". We would be glad if you can comment below and provide your valuable suggestions and feedback. If this page have any wrong information/list or out of context content, then you can report us as well.